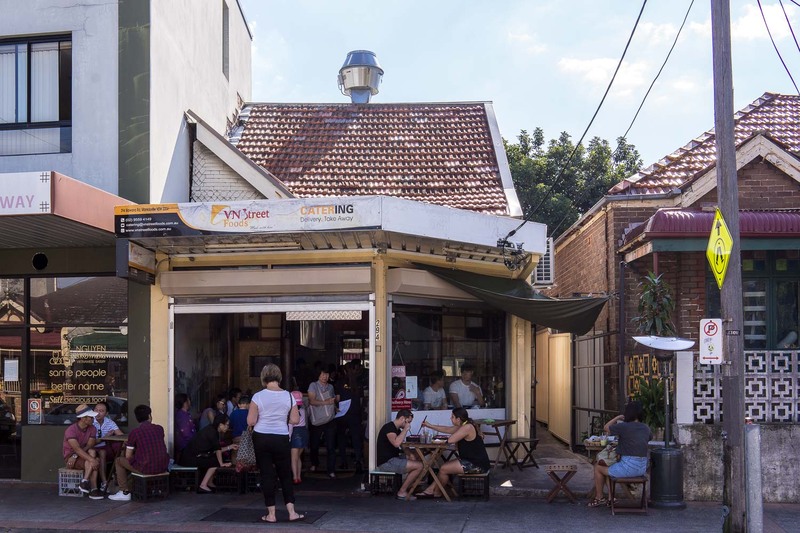 VN Street Foods may be a small shop front along Illawarra Road in Marrickville, but it is turning out plenty of fine plates of Vietnamese classic dishes. Pull up a tiny chair and sit and watch the show. VN Street Foods fits a hella load of customers inside their small shop, along the front of the store on the footpath and even up a side alley, wherever they can shove them in. 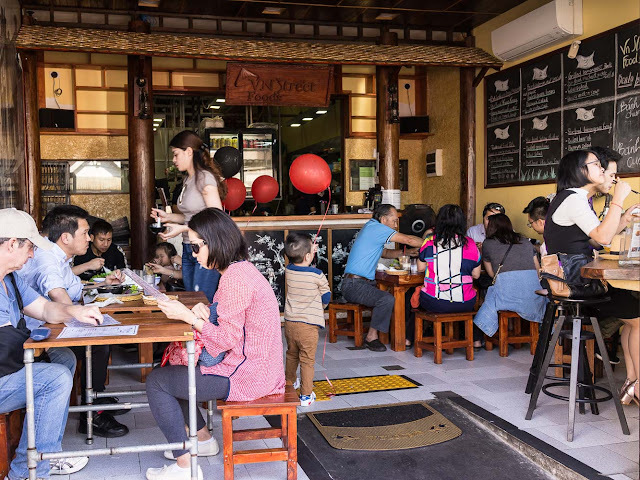 It's elbow to elbow along the high bench, where you can view the action along Illawarra Rd or other diners just outside. While you might have to wait for a table, the turnaround is fairly quick. Yes folks, we queued to get in here but only because we were sucked in when we saw an old lady smiling and really enjoying her meal, no better advertisement in our books. 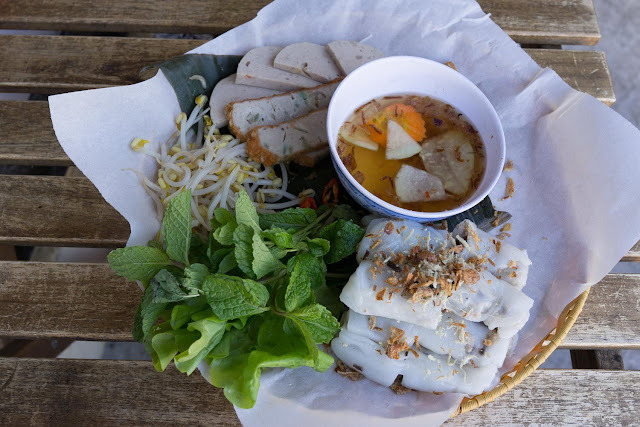 This was the dish we saw - bánh cuốn, a fresh rice noodle that is soft and slippery as advertised, a common Vietnamese breakfast dish. It is made by steaming a batter of ground rice and water on a flat sheet or cloth, sprinkled with cooked pork mince and turned into folds. 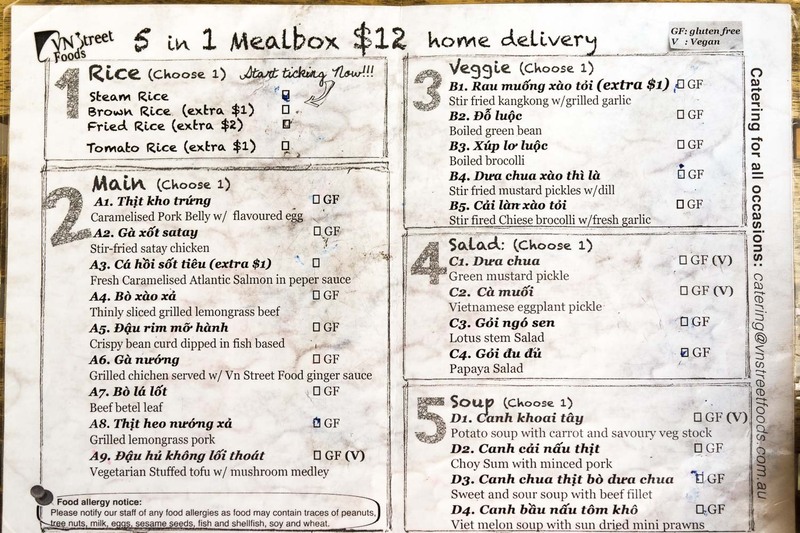 Served with slices of homemade pork meatloaf and chả lụa (what could be best described as Vietnamese devon or bologna), bean sprouts, fresh mint and lettuce and a bowl of nước chấm, fish sauce and chilli dipping sauce. It was a surprisingly filling serve, we expected the noodles to be a light dish but all those extra meaty sides add up. If you want a vegetarian version, you can request them without the filling and a serve of fried tofu on the side. Our next pick was the bún bò lá lốt, rice vermicelli (bún) served with smokey grilled parcels of beef wrapped in betel leaves. These little bombs of beef are incredible, the flavour of the grill is carried through the leaves and we didn't taste any of what can be a slightly bitter flavour from the betel leaf. If you do, there are stalks of basil and perilla to add more herby flavours and dipping or noodle coating sauce as well. 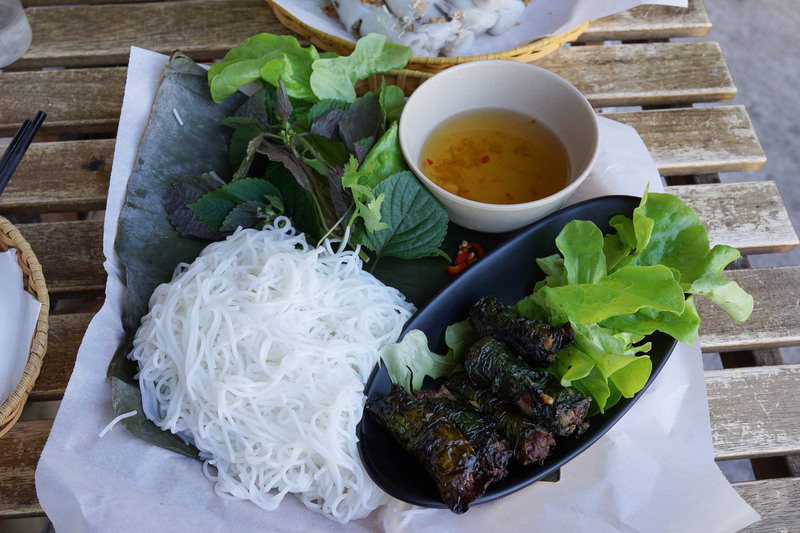 Wrap a roll in a lettuce leaf, dunk and eat. 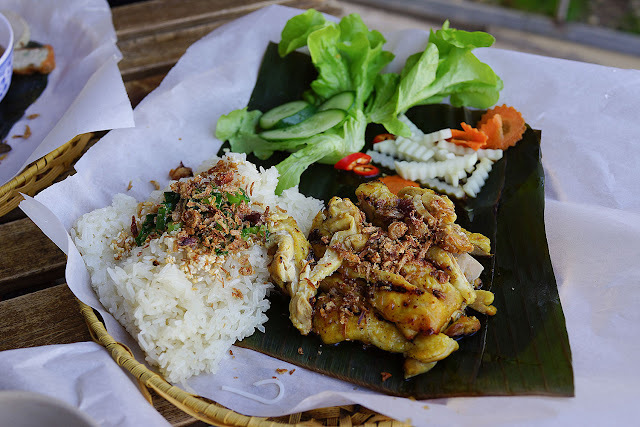 To balance out the rice noodle dishes, we ordered xôi gà, sticky rice with grilled chicken and ginger. These guys must have the grills working at just the right point, the chicken was slightly turmeric yellow, the skin was charred but the inside was still juicy. Fine and dandy for us. A side serve of quick crinkle cut pickles cuts a little of the chicken fattiness. 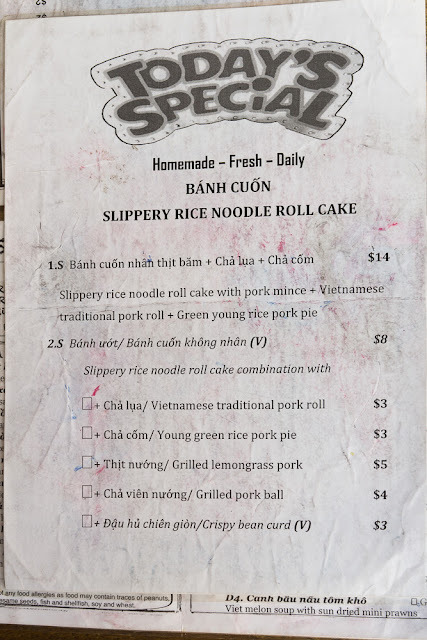 Menu for rice noodle, rice and soup dishes. 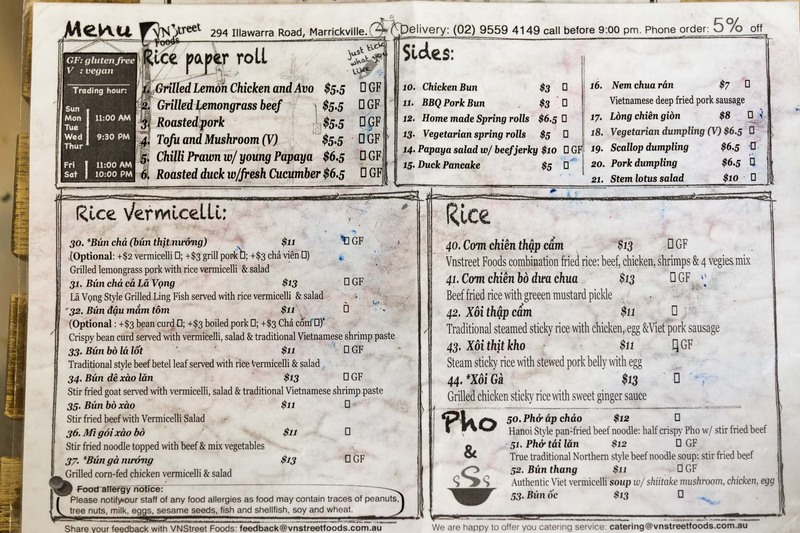 Loads of sides to order too. We spied some of these bento style meal boxes, good for those that missed the episode on sharing on Sesame Street. 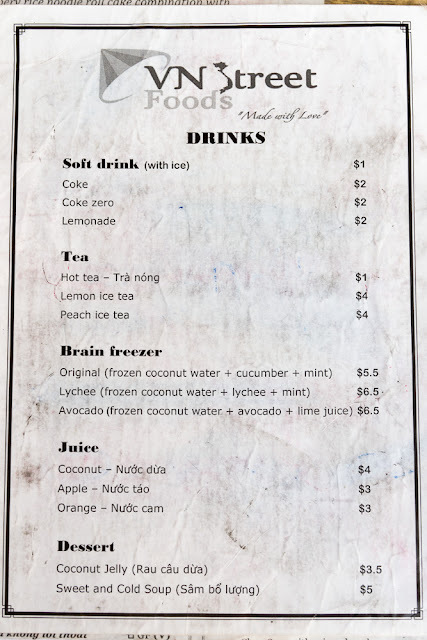 The bánh cuốn special, every day all day. 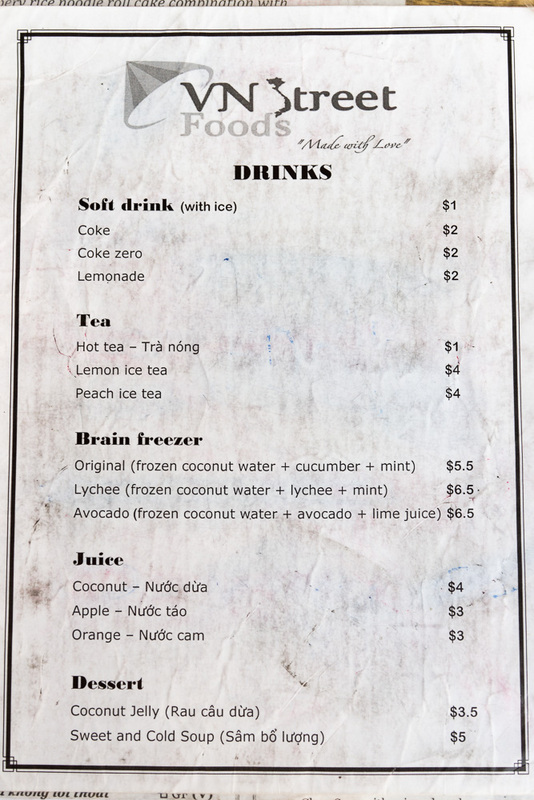 Drinks, including a brain freezer. 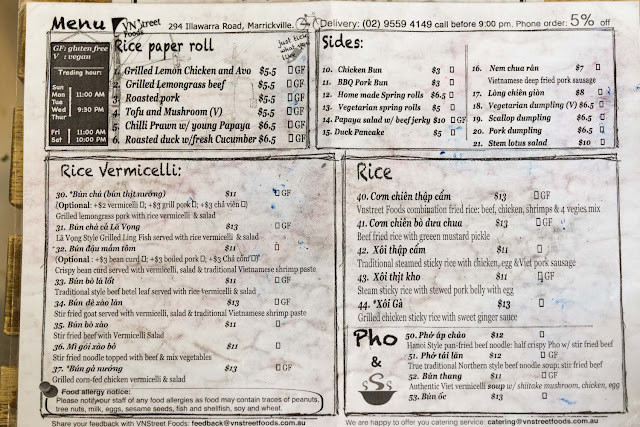 VN Street Foods is at 294 Illawarra Road, Marrickville. Phone 9559 4149. So many interesting things here. The shrimp paste soup is just about one of the most intense things I've had ever.